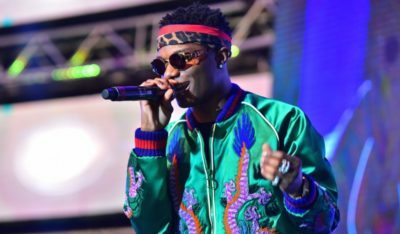 Star boy, Wizkid has added to the list of 2017 awards he has having recently won the award for “Young Person of the Year” at the 2017 edition of The Future Awards Africa. The award which recognize inspiring young Nigerians making a distinction through creativity social enterprise and social good, identified Wizkid as the standout young Nigerian of 2017, ahead the likes of Mary ‘Remmy’ Njoku of ROK Studios, Tech Expert, Iyin Aboyeji, Silas Adekunle of Reach Robotics and Amaka Osakwe of Maki Oh fashion brand. The event was organised at the Federal Palace Hotel, Victoria Island, Lagos and the creme de la creme of the Nigerian creative industry were present at the event, including leaders in other industries.